No one likes to be pranked. They can even be irritating or infuriating. But most people are able to laugh it off eventually. 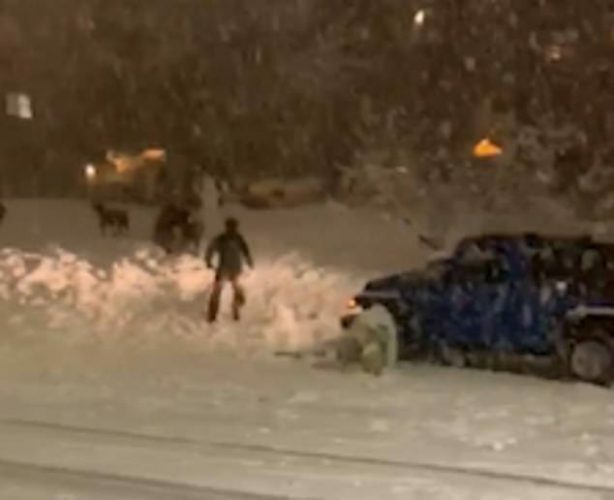 However, after a gang of neighborhood kids attacked a woman’s car with snowballs, she decided to get revenge – and it was totally inappropriate. After “speeding up and driving her into a group of people,” she put lives at risk and was then arrested all because of a simple, quaint snowball fight. Footage depicts the crazed driver terrorizing a group of young kids in the Capitol Hill neighborhood of Seattle. The incident occurred on Sunday at 8 pm. One bystander by the name of Joey Wieser happened to film the clip. He watched as a group of kids was enjoying themselves during a snowball fight. Because Seattle does not get much snow, they were excited to be able to play with it. However, not everyone was excited by the weather. A woman suddenly drove past the group in her blue Jeep. Joey Wieser did not know what happened, but she returned a few moments later, accelerating at the group of people, threatening to kill them with her vehicle. Then the driver did the unthinkable. She drove her large vehicle into the group of people after they hit her car with a snowball. It was totally inappropriate. 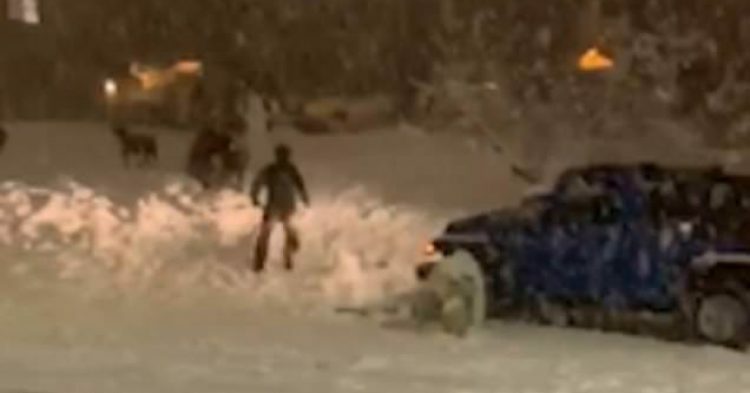 Joey’s footage depicts about twenty people enjoying the rare snowfall in Seattle. 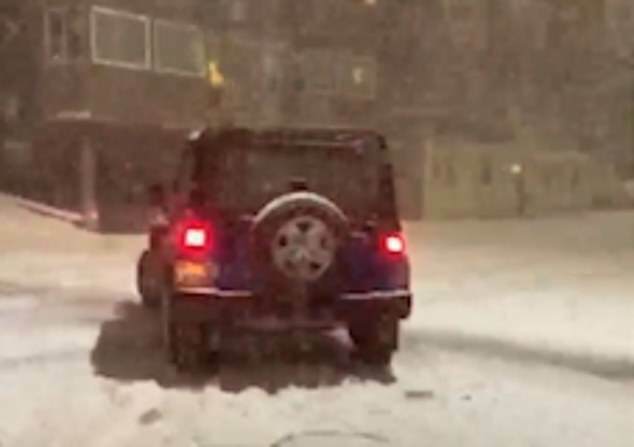 But after one of the snowballs struck the blue Jeep, the enraged female driver returned to get her revenge. However, the woman took her time returning. She came back about five or ten minutes later, complaining that a snowball had struck her car. In other words, she had time to sort through her actions and come up with a premeditated plan of attack. She wanted to use her vehicle, the very one that was “assaulted” by a snowball, to ram the group of revelers down in the streets of Seattle. Wieser’s footage shows the Jeep accelerating toward the group of people. In a mad dash, the people rush to higher ground, desperately trying to flee the vehicle set to kill them. Moments later the woman, who is enraged, exits her vehicle. Thankfully she did not have a firearm with her, because she might have used it. Instead, she battered her victims again and again with a rant of outrage. However, her victims, who were nearly murdered with the weapon of her Jeep Wrangler, do not plan to take her abuse lying down. One of the men armed with a snowball rears his arm back and launches it at the woman. He gets a direct hit. She charges the man in an attack. Other people quickly come to break up the fight. At this point, the woman picks up her hat and heads back to her Jeep. However, she decides she is not doing hammering home her point. She continues arguing. Seattle Police later reported that they arrested the woman for Reckless Driving and Driving Under the Influence. What do you think about this incident in Seattle?